For some reason I really didn't feel like posting anything since last week. 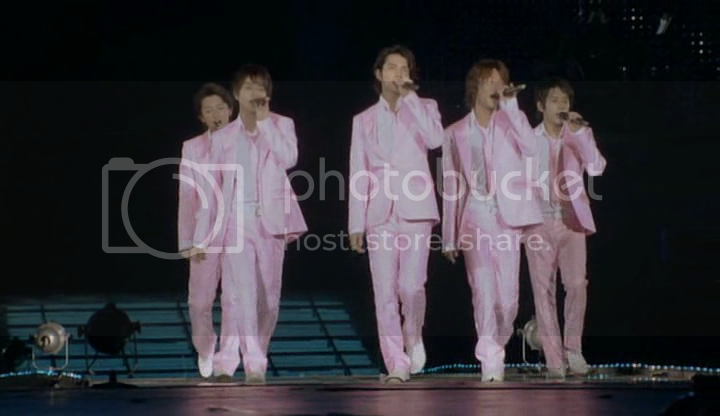 But since my last post, I've seen lots of (Arashi) videos! 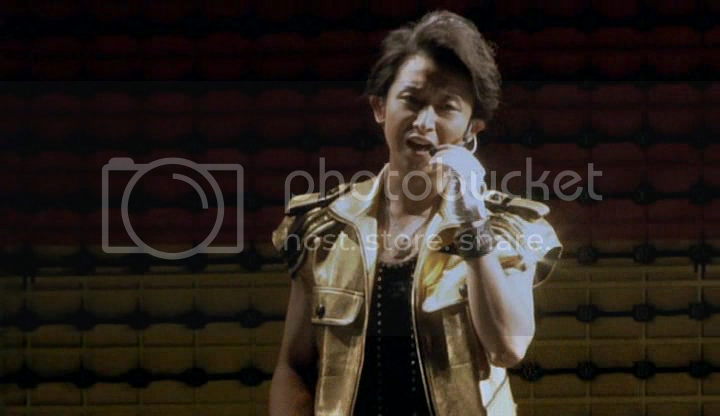 I did watch Eito's Heat Up! 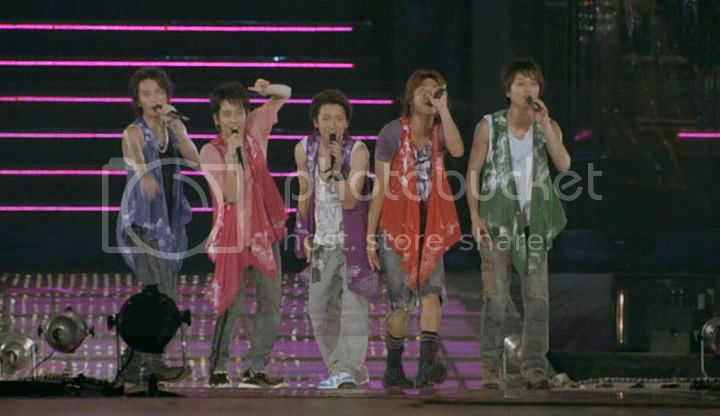 concert this weekend, after watching Arashi Around Asia 2008, and... unbelievably, I think I enjoyed AAA more?!!?! O.o Nani kore?! 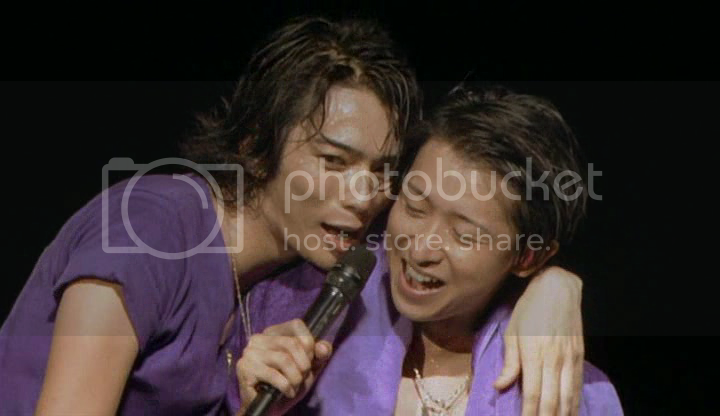 But still, I won't give up on my Eito. Tacchon's still my ichiban (though I have a sneaking suspicion about Sho-kun >.> and I would never have expected this Riida!!! 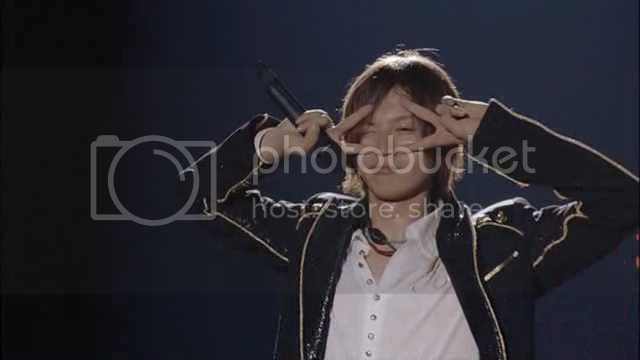 O.o) and Ryo-chan is still my ni-ban. And then! The shiny pants!!! 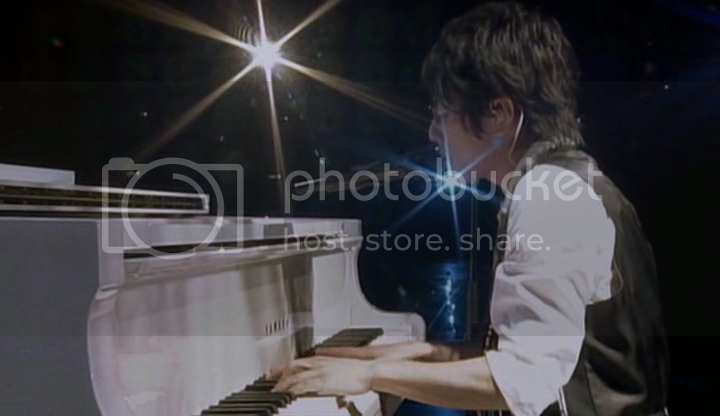 - Nino with the piano! I have a confession: I hate envy guys who can play the piano. 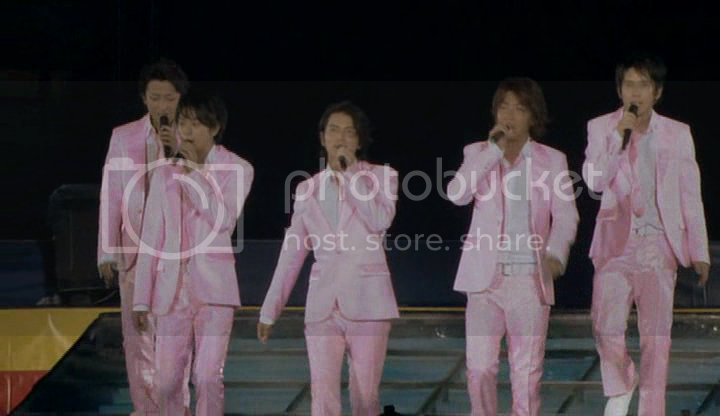 - The Arashi Wave thing was cool~!! But of course, screencaps don't capture it. And since I can't make a gif right now, I didn't bother. 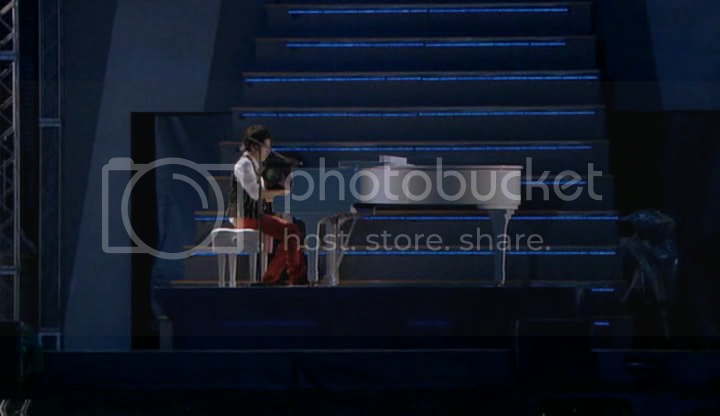 - Whatever this song was, it was so cool~!!! - One Love~! I expected them to be in white suits or something, but ok... 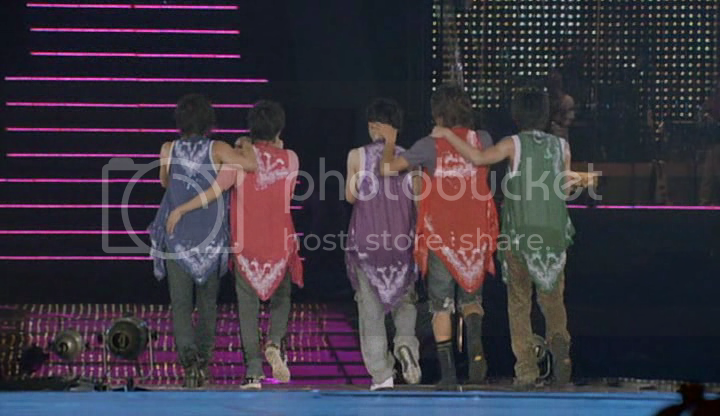 I took these because they're so full of Arashi love. 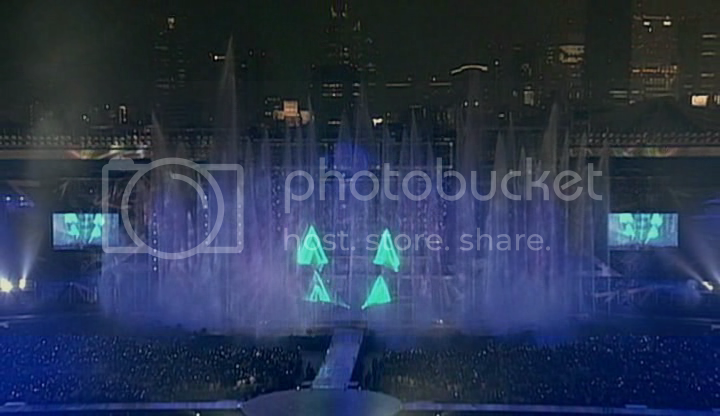 - I LOVE fountain endings!!! <3333 And this concert actually started with fountains, too, but...well, they didn't look as spectacular in the afternoon light. 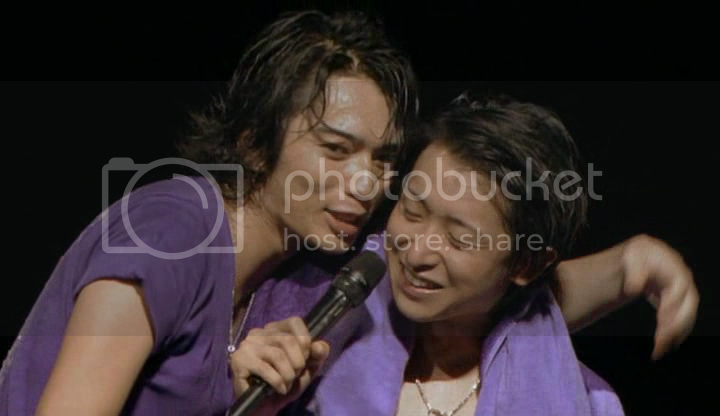 - And before I started watching tons and tons of Arashi shows and videos, I never understood why there was a pairing called OhMiya. Now I totally get it. 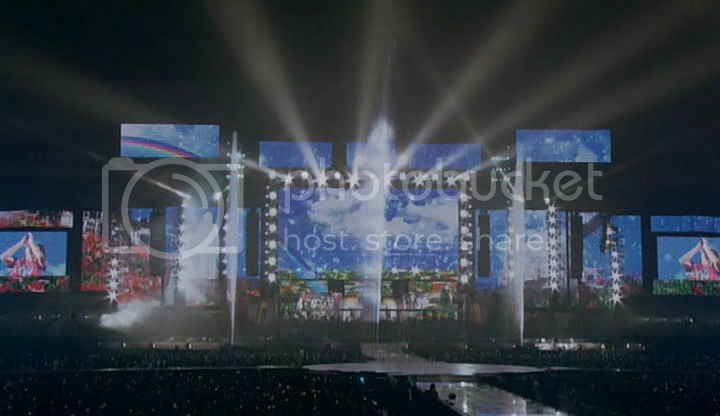 How can anyone not notice it when it's plastered on the huge screens during the concert/s?! haha! goodluck sa mga school matters..
maybe you already watched this..his solo in iza now is top secret..he performed the BEST there..cause to what i know is, he performed it also to somewhere but idk where and not that good perf also.. I've watched the concert pa lang, ang docu I'm not sure if I'll download pa, pero I think I'll wait for subs, if ever, hehe. Medyo weak nga yung wave sa AAA, pero mukhang fun pa rin! Have to see the Time con pa, haha. Di ko nga alam eh...sana totoo! And sana naman i-publicize nila ang date and location!!!! I swear gagastos ako, except if sa Mindanao siya or Eastern Visayas. Haha. Pag nag Boracay siya, I'll pretend uwi ako samin (coz malapit lang kami dun) pero in reality yun pala ang reason, haha. 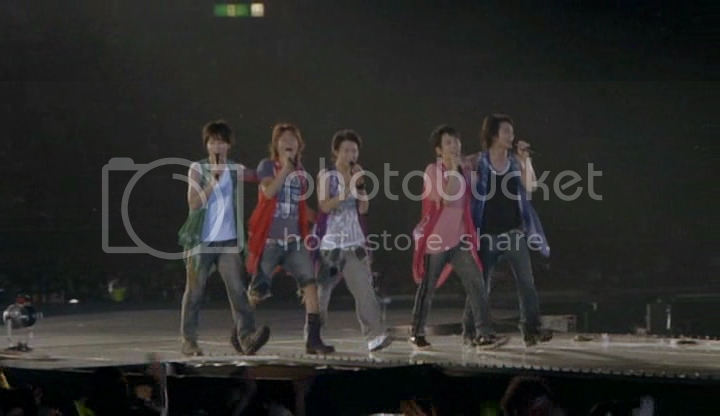 I've gone through 5 ichibans at different times, usually for about 3months each: Kame, Ueda, Tegoshi, Ryo, and Tacchon.